'The Doctor' will be easy to spot in 2019 as he vies for his first MotoGP title in a decade. 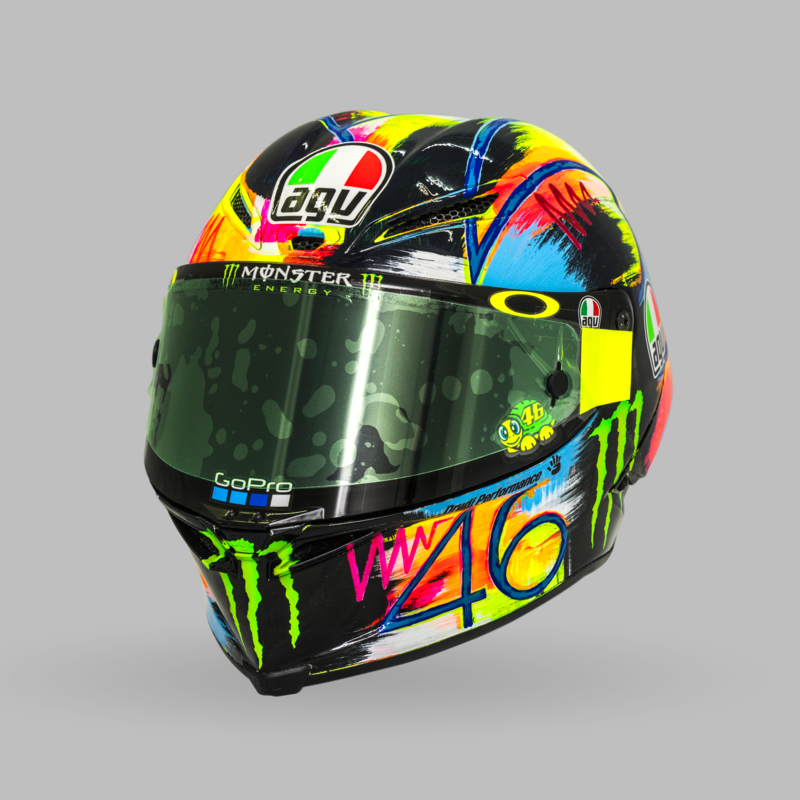 The newest addition to the ever-growing collection of Valentino Rossi’s custom AGV helmets is the Winter Test 2019 livery. It made its debut in the first winter tests of the year leading up to the 2019 MotoGP season in which “The Doctor” will compete for his eighth championship. The 2019 season also marks a decade since the last time the 39-year-old racer won a MotoGP title. 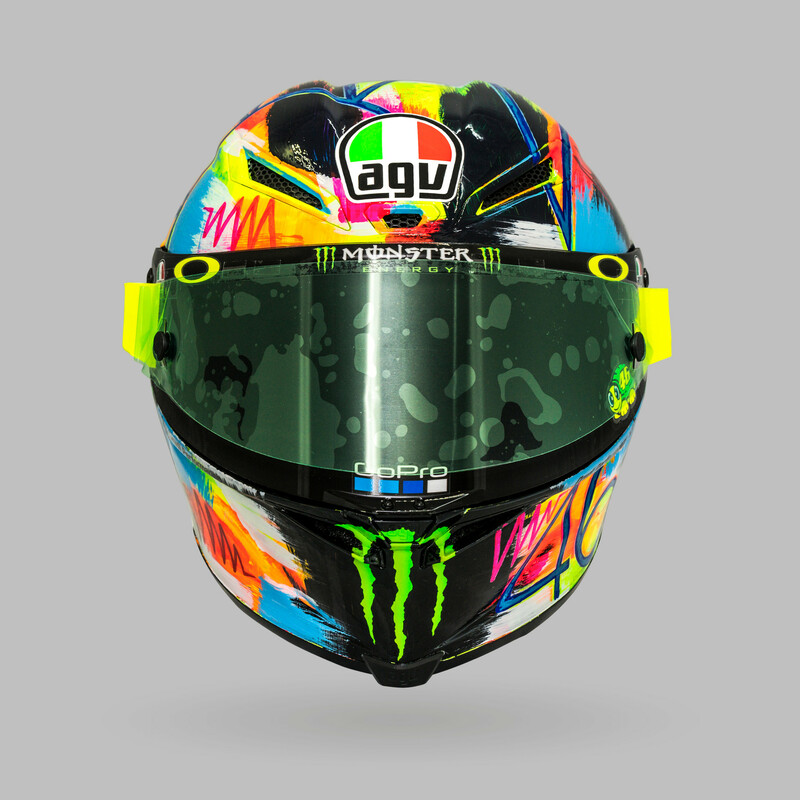 "Valentino Rossi just headed down to the track for the first tests of the year with the brand-new Winter Test 2019 design, which will join the Doctor’s immense collection of AGV lids," said an AGV representative in an email to The Drive. 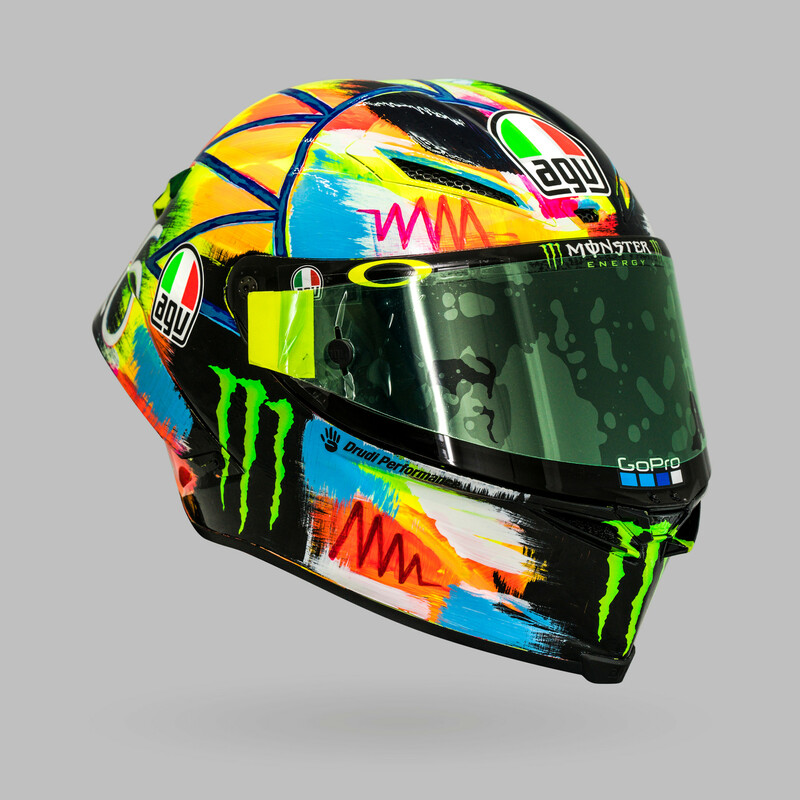 As always, Rossi’s lid is an AGV Pista GP R. Also, per usual, the helmet features a sun and moon theme, but it’s not as noticeable as it is an most of his other custom helmets. There’s a sun and moon drawn on either side of the helmet with thin blue lines and the rest of the design consists of explosions of bright, neon colors like yellow, green, fuschia, and orange. 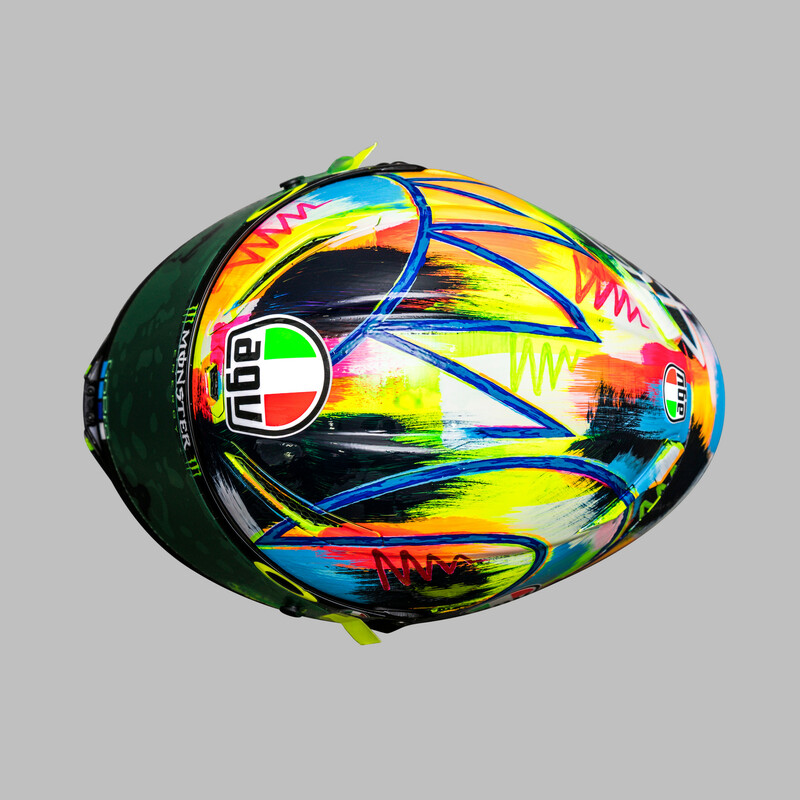 The freehand design certainly stands out as Rossi’s helmets often do. Keep an eye out for Rossi when the MotoGP season begins on March 10. The "Back to the Future" theme features a DeLorean, a flux capacitor, and Rossi reimagined as Marty McFly. This bold Italian flag-themed design was unveiled on Italy's Republic Day. The Italian MotoGP world champion has ridden a total of 24,901.45 miles since his racing debut in 1996. Yamaha's Motobot is getting smarter and faster. It's a bold, 1970s-inspired take on Rossi's perennial sun and moon aesthetic.